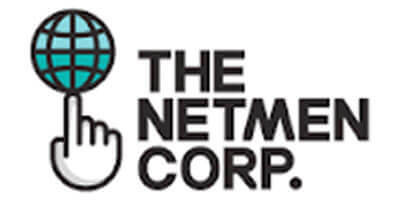 The Netmen Corp was founded 15 years ago as an online graphic and web design agency offering logo creation, stationery, and web design options. In their tenure, they have evolved into a major team of web designers, illustrators, and developers, with offices in Miami and Buenos Aires. Their customers tend to be small business owners, rookie entrepreneurs, and startup companies operating on tight budgets. The Netmen Corp is able to provide visual design work for any size business in a timely manner. While researching CRM options, they tested two platforms: Zoho CRM and Salesforce. Ignacio Galarraga, CEO of The Netmen Corp indicated that seamless integration with other applications was a key factor for his company and would ultimately influence his decision heavily. "We wanted a suite of applications that would not only manage our sales pipeline and improve our followup, but would also integrate with the third-party applications that we were already using - specifically Google Apps for business." Zoho CRM had all of the functionality we needed and switching to it has led to a direct increase in profits for The NetMen Corp.
With Zoho, he found a comprehensive suite of seamlessly integrated applications. "From sales to productivity, collaboration to finance, Zoho covered it all." Galarraga was hooked. The Netmen Corp signed on with Zoho CRM within three months of their decision to test it. "Zoho had all of the functionality that we could ever need, at a fraction of the cost of Salesforce. It felt much more intuitive, and I was sure we would be very happy moving forward with Zoho," Galarraga said. Immediately after signing up, Galarraga found Zoho's apps easy to learn to quickly get up and running. "Anybody can use Zoho," he said. "The interface is straightforward, and the initial trial setup took very little effort." In less than a year, The Netmen Corp has witnessed an increase of repeat customer sales from 20 percent up to 40 percent, as well as an overall increase in net income. Galarraga attributes this growth to the implementation of Zoho CRM. "For me, it's no question that switching to Zoho CRM has led to a direct increase in profits," he said. "We use Zoho Projects to manage all of our internal initiatives—about 500 projects per month," he said. Additionally, The NetMen Corp is using Zoho Campaigns not only to reach their current customer base, but also to guarantee followup with new customers after a transaction has ended. It's working for them, and will work for you too.